Gene Perry's organization for Southern California Stick seminars and the Stick video hangout program, "Free Hands Friday". An online forum for Stick players and enthusiasts, since 2007. SJI organizes events in Japan and is our authorized importer there for instruments and accessories (Japanese language site). 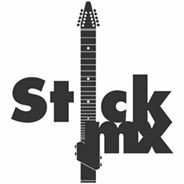 Mauricio Sotelo's Stick MX Organizes events in Mexico and is our authorized reseller in Mexico. Taking place in 2017 will be the fifth biennial workshop at this amazing school in northern Michigan, organized by Glenn Poorman.